The Wildlife & Nature Protection Society (WNPS) will hold its July monthly lecture titled ‘Endemic Birds of Sri Lanka’ tomorrow (19 July) at the Jasmine Hall, BMICH starting at 6 p.m. The lecture will be delivered by specialist Gehan de Silva Wijeyeratne. Wijeyeratne has had published over 15 books and 360 articles. He branded the ‘Elephant Gathering’ at Minneriya, and his Best for Blue Whale campaign was pivotal in developing whale watching in Sri Lanka. He also explained why Kalpitiya is a hot spot for whale watching and pelagics. He publicised the great gatherings of Sperm Whales and branded Sri Lanka for Big Game. He also introduced Leopard Safaris. 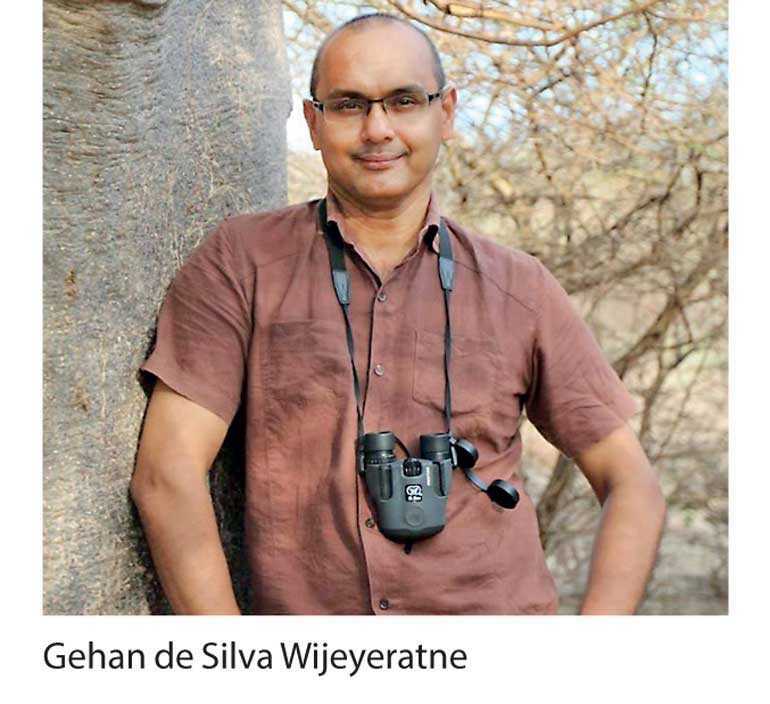 Wijeyeratne has popularised birds, mammals, butterflies and dragonflies with a series of pictorial guides which date back to 2001. He authored the first ever complete Photographic Field Guide to the Birds of Sri Lanka. A Guide to Plants is pending. Wijeyeratne continues to support the branding and commercial development of Sri Lankan tourism through speaker engagements overseas. He is currently Chairperson of the London Bird Club. 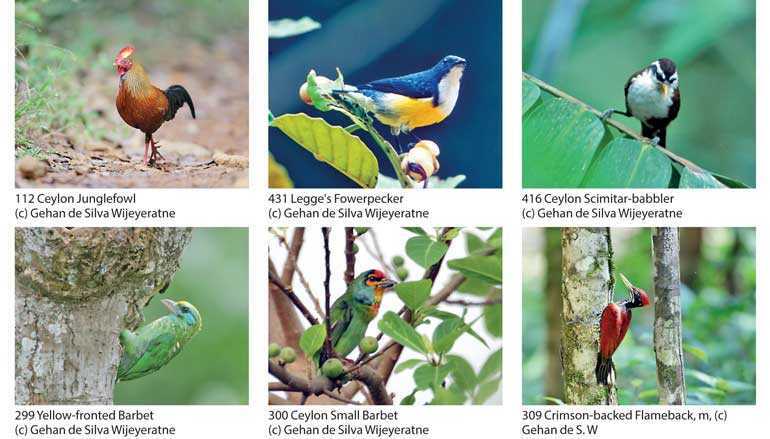 WNPS said Sri Lanka has a high density of endemic birds – 34 as presently recognised. This is as a result of island biogeographic factors, including isolation, which makes Sri Lanka of special interest not only to local ornithologists and birdwatchers, but draws those from overseas as well. With such interest comes the pursuit of even more knowledge such as Where are they found?, How should one try to see them?, What is “lumping and splitting”?, Why do the number of endemics keep changing?, How do scientists determine if a bird is endemic or not?, and What is special about the behaviour of Sri Lanka’s endemic birds?